Parkhurst Dining is a leading regional hospitality company that provides sustainable, award-winning dining and catering services to the finest colleges, universities, corporations, and special venues, focusing only on those client partners who are looking for the best in food and service. Food is our fuel. 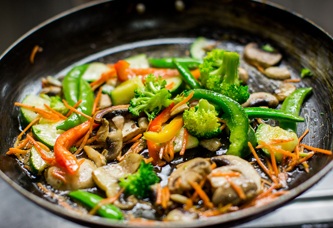 We prepare meals that are fresh, made-from-scratch, and cooked in small batches. We want our guests to feel confident that their special dietary needs are met with easy access to nutritional information.With an ever-present focus on quality, sustainability, and craftmanship, we offer a personalized approach to dining services and catering, tailoring highly customized programs to meet the needs of each client. Though we hang our hat on customization over standardization, Parkhurst Dining remains unwavering in our Culinary Gold Standards, which range from made-from-scratch pizza dough, to fresh stock soups, to hand-cut French fries.